The CPDA Board of Directors is pleased to announce that Gary Halvorson, formerly with WinField United and most recently co-chair of the CPDA Agrotechnology Committee, has been appointed to serve as Interim President of the Council. Gary assumed his new role effective December 18, 2017 following the departure of Susan A. Ferenc on December 15, 2017. Gary is a familiar face to many CPDA members, having served as a long-time member of the CPDA Board of Directors, and Chairman from 2012-2013. He has also served as an officer on the CPDA Executive Committee. Throughout his involvement with CPDA, Gary has shared his expertise and guidance with staff to help advance an array of regulatory priorities of critical importance to the Council membership. He has provided leadership on various CPDA work groups addressing key regulatory issues. During the 2014 Summer Conference & Annual Meeting held in Santa Fe, New Mexico, Gary was honored with the CPDA “Service to the Council Award” in recognition of his efforts in working with staff on a range of critical issues of importance to manufacturers, formulators and distributors of agrotechnology products both in the U.S. and in Canada. Gary may be reached at CPDA’s offices at (202) 386-7407 or by email at ghalvorson@cpda.com. Please join us in welcoming Gary as he assumes the duties of Interim President of CPDA. The CPDA 2018 Annual Adjuvants & Inerts Conference will be held on May 1-3 at the Hyatt Regency Riverwalk Hotel in San Antonio, Texas. This year’s conference will examine the many challenges and opportunities within the agrotechnology industry that center around the development of products and tools designed to maximize crop yields and instill greater efficiency in crop production methods. Current plant production strategies are complex and include measures that address the need to effectively manage the proliferation of herbicide resistance, and minimize the potential for pesticide spray drift and related liability risks. In other trends, today’s growers more and more are opting to use innovative crop input products and methods shown to improve the delivery of water and nutrients to the plant. Producers are also embracing organic agricultural growing methods in seeking to satisfy increased consumer demand. Manufacturers of adjuvants, inerts and other agrotechnology products are responding to these changes in the marketplace with a continued focus on the development of innovative products and technologies that reach well beyond the traditional chemical mindset. The Adjuvants & Inerts Conference will look at how these changes are shaping the way in which manufacturers, formulators, distributors, and suppliers, of adjuvants and inert ingredients are responding to growers’ needs. As past attendees of this conference will attest, this meeting has come to be known as a leading forum for education, outreach, and the exchange of information with a speakers’ program developed by industry for industry. Conference registration will include attendance at two receptions to be held the evening of May 1st and May 2nd. These events will provide attendees the opportunity to network with industry counterparts and to establish new business contacts. The opening and closing receptions offer the chance to catch up on industry happenings in a relaxed social setting. Further details and sponsorship opportunities for these events will be announced shortly. 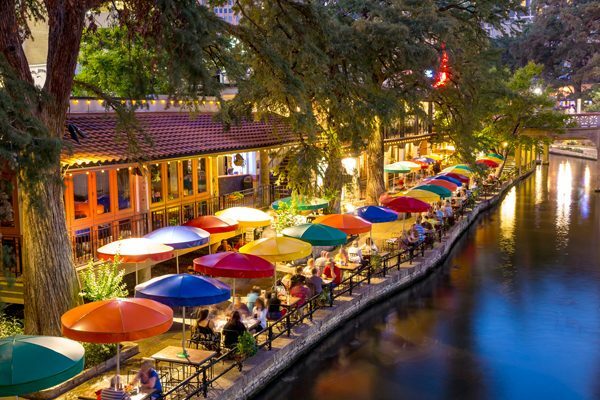 The 2018 Annual Adjuvants & Inerts Conference will take place at the Hyatt Regency Riverwalk Hotel in San Antonio, Texas. The hotel is situated directly on the Riverwalk and is a quick three-minute walk from the Alamo. A room block will be open for reservations at a discounted conference rate which will be available on a first-come, first-served basis. A dedicated link for making hotel reservations will be made available in the coming weeks. The CPDA-PAC will sponsor a golf tournament on the afternoon of May 1st. As in years past, tournament prizes will be offered. The CPDA-PAC Golf Tournament is the perfect opportunity to catch up with business associates during a relaxing afternoon on the greens while also enhancing CPDA’s abilities to represent your legislative interests in Washington. Further details on the CPDA-PAC Golf Tournament will be posted here so check back often. The CPDA Adjuvants & Inerts Conference offers a variety of sponsorship opportunities at four different levels (Diamond, Platinum, Gold and Silver) as well as specific event sponsorships from which to choose. Details on sponsorship opportunities will be announced shortly. Your sponsorship will go a long way in enhancing the quality and value of the Adjuvants & Inerts Conference while simultaneously boosting the visibility of your company among attendees. We look forward to seeing you at the Adjuvants & Inerts Conference next May! Should you have any questions please contact the office of CPDA at (202) 386-7407.